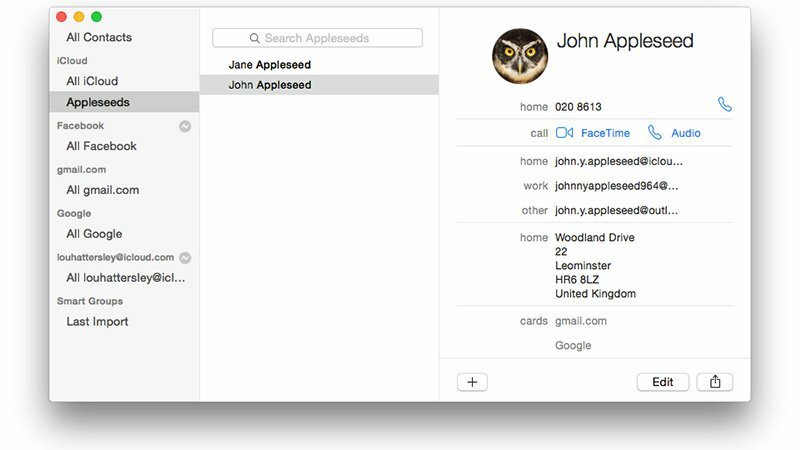 If you have an iPhone you can make and receive calls on your Mac. The calls are routed via your iPhone so the number is the same – friends and colleagues won’t even realise you aren’t chatting with them on your handset. Follow this tutorial to find out how to set up your Mac to make and receive phone calls so that the next time your iPhone is ringing in another part of the house, or buried in the depths of your bag, you will see an alert and you will be able to answer the call from your Mac. And if you need to make a quick call to someone, you won’t have to retrieve your iPhone either – you can just place the call from your Mac. These phone calls will be routed via your iPhone, so all you need to remember is that the minutes will come out of your usual allocation as per your contract. Ensure you have the right software: You need to be running at least iOS 8 on your iPhone. Log both your iPhone and your Mac onto the same Wi-Fi network. On your iPhone, go to Settings > iPhone > Calls on Other Devices and choose the devices that you can allow calls on. Place a call using Contacts: You can Contacts (search for Contacts in Spotlight by pressing Cmd+Space Bar and then starting to type Contacts) Click on Call to place the call. Place a call from Spotlight: You could just start typing the name of the person you wish to call straight into Spotlight and place the call from there. As before, click on the handset icon which will appear as long as there is a number associated with the contact you have chosen. Place a call using FaceTime: Open FaceTime > Click on Audio > Click on the handset to place the call. Place a call from Safari: If you have found a number on the internet you can easily place a call just by clicking on it. The number will either be recognised as a link which you can click on to place a call, or when you hover your cursor over the number you should see a down arrow appear which you can click on to place the call. If this down arrow doesn’t automatically show up, highlight the number and it should. Click on the down arrow and choose to call the number. You can also place calls using Mail and Maps and Messages (in Messages just click on Details at the top of a message thread with your contact and choose the handset to call them. This works both ways. Once your Mac is set up to make phone calls as above you will also be able to receive them there. When a call comes in on your iPhone you will see an alert appear on your Mac. To answer the call you only need to click on the answer icon. To finish the call just click on the hang-up icon. If you’re in a call using your Mac and need to enter information “using your telephone keypad”, such as when using online banking, just type the numbers using your Mac keyboard. They’ll automatically sound as standard DTMF tones, although you may need to first click on the call window at the top right of the desktop. You can turn the floating call window into a regular window, complete with close/minimise buttons, by simply dragging it away from the corner. You can change the ring tone of calls on your Mac. To do so, open FaceTime and then open its Preferences panel (Cmd+,). Then choose your ringtone from the Ringtone dropdown list at the bottom. 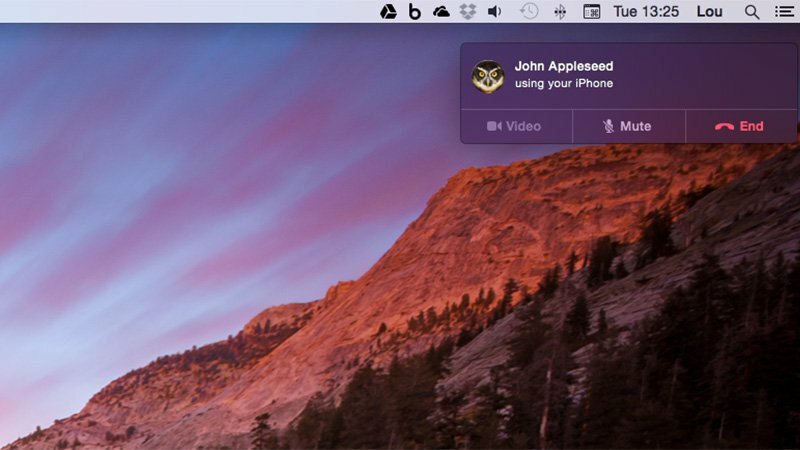 You can also make free video calls via the FaceTime app on your Mac. You can also make phone calls on your iPhone for free using FaceTime. There are other ways to make phone calls on a Mac computer. You can download and install a VoIP (voice over internet protocol) app for MacOS and use that to make phone calls. Typically you can make free internet-based calls to anybody, although you may have to pay a small fee to make a phone call to a landline from the service. Skype is the biggest name in VOiP services, although other options are worth checking out.